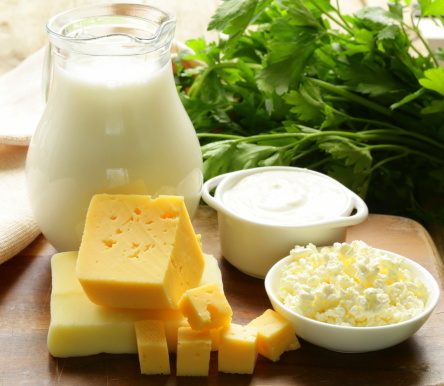 Home » Food and Nutrition » Getting Your Daily Dairy Good for Your Health? Dairy can be a tough sell. It’s constantly moving from the “healthy” to the “unhealthy” food groups, never really staying put long enough. It goes from hero to villain and back again in the blink of an eye. Yes, it can be fatty, but no one seems to agree if it’s good or bad fat, healthy or dangerous. Dairy can also make people feel uncomfortable and bloated because of a high number of individuals suffering from lactose intolerance to one degree or another. Some would argue that humans shouldn’t be eating it because it’s unnatural. Humans are the only species that consumes milk from other animals. No other animal has the ability to digest milk taken from another species, which might explain why lactose intolerance is so prevalent. But dairy has all kinds of nutritional benefits that are essential for a healthy diet. It’s high in calcium, vitamins, and minerals that your body needs to stay strong and functional. And now, new research is adding to the growing body of knowledge that a higher intake of dairy does not have detrimental health impacts. In fact, if you’re a healthy individual, it can have beneficial metabolic effects. A research team from Laval University in Quebec, Canada looked at the dairy consumption of 233 healthy individuals (105 men and 128 women) with healthy metabolic profiles. This means they were not overweight or at risk for conditions like metabolic syndrome and type 2 diabetes. Dietary guidelines recommend individuals should consume two to four portions of milk-based products per day, but many come far under that. The people in the study, for example, had between 1.4 and 2.5 servings, while 45% did not meet the daily guideline. The results showed that people who ate dairy on a daily basis had lower blood pressure, lower weights, and lower blood glucose levels. Dairy has also been show to lower the risk of type 2 diabetes and obesity. The fatty acids found in dairy are still being researched, but it appears they do have health-promoting effects. Furthermore, saturated fats that have long been vilified are now being shown to promote health, or at least not worsen it, in healthy individuals. I’ve always had mixed feelings towards dairy. I believe it’s healthy and a great addition to any diet, however, I do have a mild case of lactose intolerance that creates some discomfort when I have it. I still aim to get two servings per day, usually in the form of plain Greek yogurt, which also provides healthy probiotics, calcium, and lean protein. Including dairy in your diet is highly recommended and if you’ve been avoiding it because you’re scared of the fat content take this advice: if you stick within the recommended dietary guidelines, you should have nothing to worry about. For a long time, fat has been regarded as a major culprit in weight gain and poor health, but that belief is simply incorrect. The culprit when it comes to metabolic syndrome and type 2 diabetes is sugar. Therefore, if you’re consuming dairy, like yogurt, for example, make sure to buy plain, unflavored options. This means there is no sugar added and you can add your own flavors to deliver the taste you want in the healthiest way possible. Canadian Science Publishing (NRC Research Press), “More cheese, please! News study shows dairy is good for your metabolic health,” ScienceDaily web site, September 16, 2014; http://www.sciencedaily.com/releases/2014/09/140916092737.htm.